Your wallet will love this Dollar Store Placemat Tote Bag. Almost any material can be used to make a DIY tote bag, but using placemats guarantees durability and strong structure. The end product is so cute, no one will ever guess that you whipped up this tote with a few placemats and canvas! Use this free tote bag pattern to make a great bag with plenty of room. Its square bottom makes it easy to hold anything from towels to library books. Plus, using placemats makes this bag stain-proof and easy-to-clean. I've made a lot of tote bags, and this one is very cute. I have a suggestion though, I would put the outside pockets a little higher up on the tote, otherwise it looks like you lose some of it in the bottom. Sturdy totes made from placemats from thrifty Dollar type stores is a great idea. The instructions indicate to use plastic canvas to reinforce the boxy bag bottom. I have had great success with this in the past. I do not cover the plastic canvas insert at all as it is much easier to remove to rinse off and wipe clean after fresh produce is carried. Perfect beginner project. Since this pattern is so inexpensive to make, I think these would make adorable party favors for a summer bash. 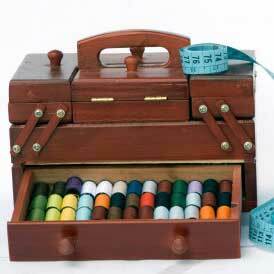 Why not show off your sewing skill to your friends without breaking the bank? Want to make an inexpensive tote to carry then why not pick up some placemats next time you go to the dollar store. With just a few cuts and some sewing you will end up with this supercute placemat tote bag. So easy and fast to make. Anyone can make one with this tutorial. Why not make some extras for family and friends too. I can't thank you enough for sharing this great idea! I have lost count of how many of these I have made and people are always amazed that they are made from placemats! Kuddos! This instruction is very well done and I will definitely use this. I have a lot of placemats that are quilted and many yards of the strapping too! I'll try to come back and post mine when I get them done!